Rodrigo Borgia was elected as Pope in 1492, after a close conclave with the Cardinals. Only then did he acknowledge his children as his own, providing them with perks, military and ecclesiastical honours and other corresponding titles. In this farm, Vannozza died, surviving the death of Rodrigo and of all her children. How many times were these walls witnesses of the weeping and laughter of Vannozza? After her death, the farm was passed on to her descendants and subsequently to the guard’s uncle, who was also a guard, with the promise that no parties would be held or that nothing would be built on the land. Some 10 years ago, the farm became the property of the Ministry of Italian Culture. The guard continued to show me the different rooms and its bare halls without any furniture, with wide windows to admire the outside, the vineyards, the trees and the mountains. Upon entering into a living room that wasn’t very big, I suddenly found myself gazing into the beautiful eyes of Vannozza, looking at me from the picture hanging on one of the walls. It was very old and valuable, a jewel in that empty ramshackle house. Giovanna of Candia, Contessa dei Cattanei. I was moved and I asked the guard: - I can’t wait to get to know her – He sensed that I wanted to be left alone… alone with Vannozza. I continued looking at that woman. Perhaps I couldn’t consider her beautiful in our current standards, but she was more than beautiful, it was the face of a very interesting woman. My god! Those eyes drew me in so much that I could not look away. 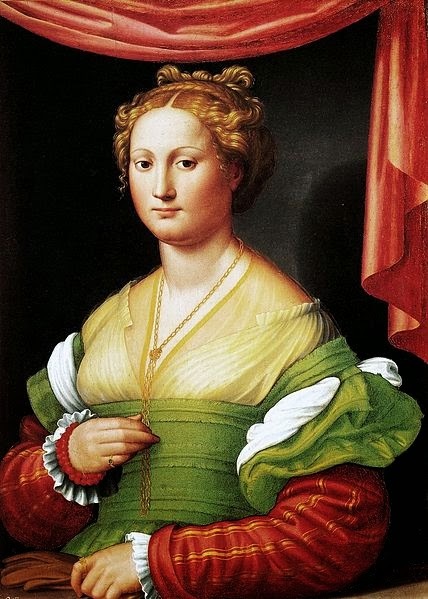 I hoped that my labour in the interpretation of this person was as full of passion and love, as it was as realistic as possible, and that I was able to communicate, after more than 500 years, the personality of the woman and Roman mother “amorevole” known as Vannozza Cataneï. Upon stepping outside, the guard informed me that my colleagues were heading towards the vineyards. The cameras and the set were waiting for me. Seeds in my hand, I went to meet with the team and together with Cardinal Farnese, we began to tread the vineyards of ‘The Borgia’.